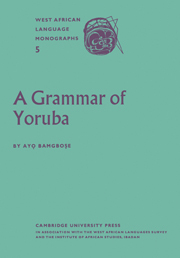 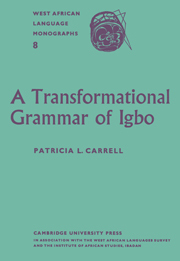 First published in 1968, this monograph is a descriptive grammar of a dialect of Ịjọor (Ijaw), a language spoken in the Niger Delta area of Southern Nigeria. 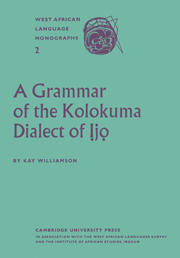 The dialect described, Kolokuma, is a central one, quite widely understood. 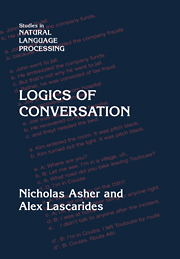 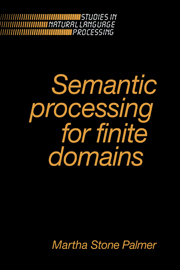 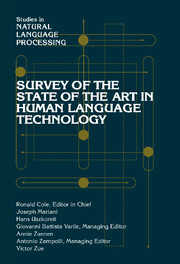 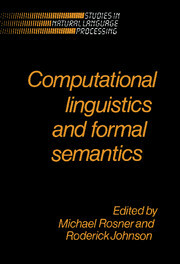 The most interesting features of the language, on which the monograph concentrates, are its syntax and its tonal system. 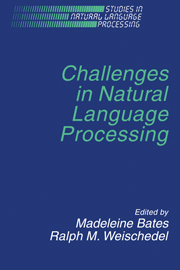 An attempt is made to treat them according to a generative-transformational theory of language. 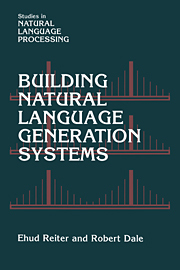 The tonal system is of an unusual type whereby the tones that words bear in isolation are considerably modified according to the syntactic context the word appears in. 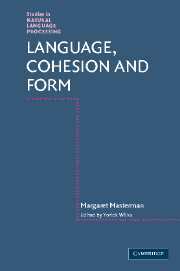 Syntax and tones are therefore bound closely together, and the grammar is written so as to give rules first for the syntactic sequences of words and then for the tone patterns that will occur on these sequences.